Excited to be in the national newspapers today! The Times, the Herald, the Metro and the Edinburgh reporter. 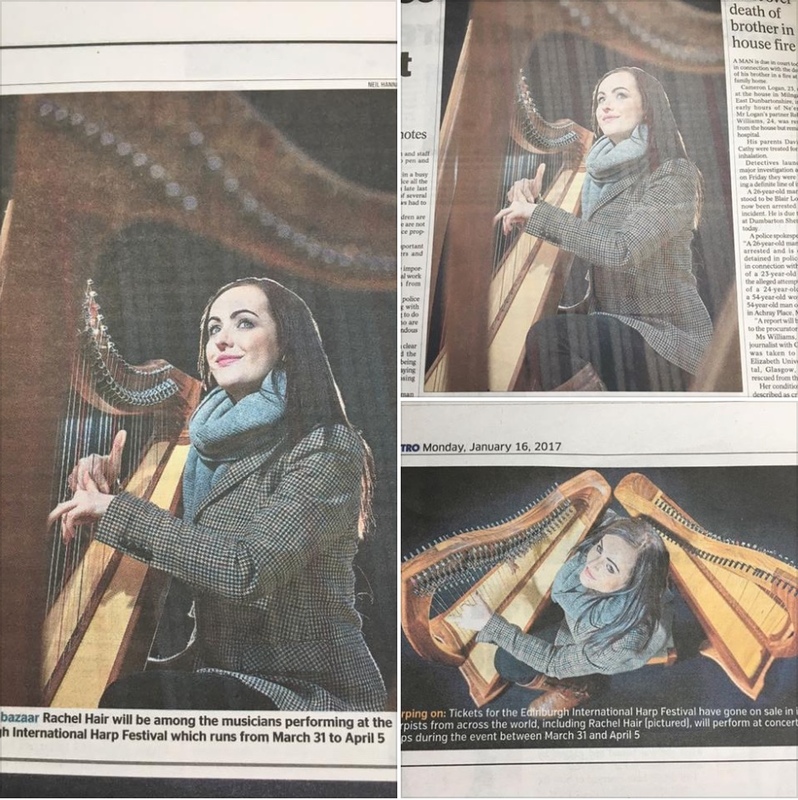 Fantastic photos by Neil Hanna to celebrate the launch of the Edinburgh International Harp Festival 2017. The Rachel Hair Trio will be performing there and I’ll be teaching a Scottish Harp Course. See you at the Harp Festival?? ?